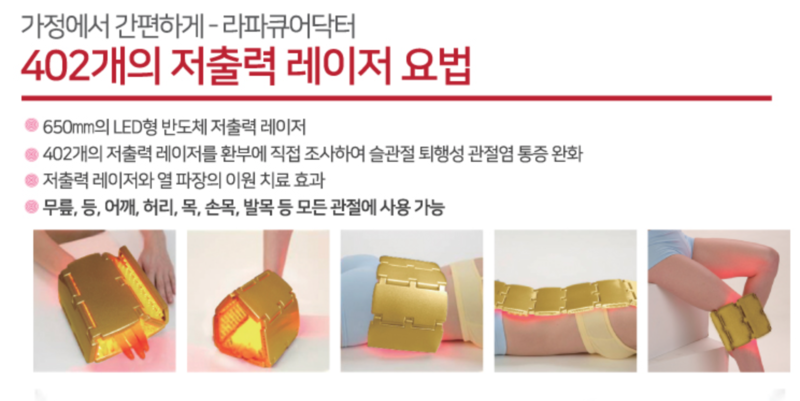 Click the button below to add the Rapha Cure Dr Gold 402 - Pain Relief Portable Laser Medical Device 관절염 류마티즘치료기 한국병원용 to your wish list. Made to be used in USA and can be used for 110v. Most effective to fight inflammation which causes arthritis and chronic pain. Rapha has been sold more than 200,000 units in Korea. It effectively treats inflammation which causes arthritis and chronic pain. According to the research done by 2 major hospitals in Korea, 81% of the volunteers reported significant improvements in 2 months.